I’ve discussed Apistan, a pyrethroid treatment for Varroa, in two recent posts. In these I explained in some detail its molecular mechanism of action. I also explained the two major problems associated with Apistan (and the related tau-fluvalinates ) – the widespread resistance of Varroa to Apistan and the residues it leaves in wax. In this final post I’m going to revisit just how useful Apistan could be if it was used in a more rational manner. I’m going to concentrate on resistance and you’ll probably need to read the previous post on this topic to provide necessary the background. I’ll only really touch on the residues in wax at the end – I’ve already discussed how these can be minimised if you consider them an issue. This is (another) long post. It draws together the concepts described in previous articles and links the science of Varroa control to potential strategies to benefit practical beekeeping. 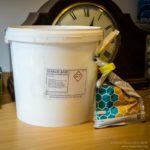 How good is Apistan if Varroa are not resistant? Exceptionally good. Pyrethroids are some of the most widely used pesticides. They are widely used because they are very effective. Apistan is no exception. When used to treat Varroa populations that are not already resistant it kills over 98% of the mites in the colony when used according to the manufacturers instructions. 98% … that reduces the National Bee Units’ recommended maximum mite load of 1000 to just 20. Just how effective is emphasised by a quote from the Apidologie paper cited above. “In treated hives, worker pupae and adult bee infestations decreased from 14.2 ± 7.3% to zero and from 15.7 ± 7.3% to zero, respectively. Whereas, in the two control hives, during the first 6 weeks, the average worker pupae infestation increased from 15.9 ± 2.9% to 19.7 ± 3.5%”. 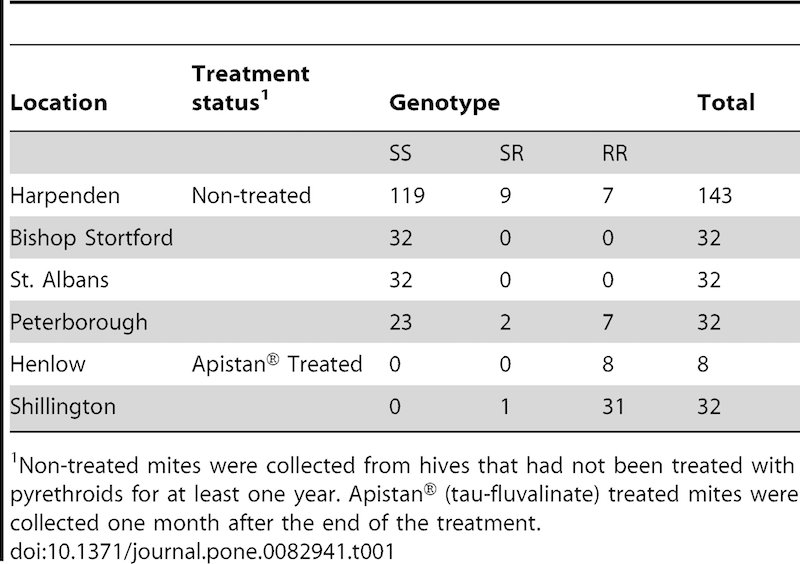 Most mite mortality occurred during the first 4 weeks of treatment and the level of Apistan present at the beginning and end of treatment remained at about 10% i.e. it should be as active at the end of the treatment period as at the beginning∇. Resistance was first demonstrated in 2002 and is now widespread in the UK. 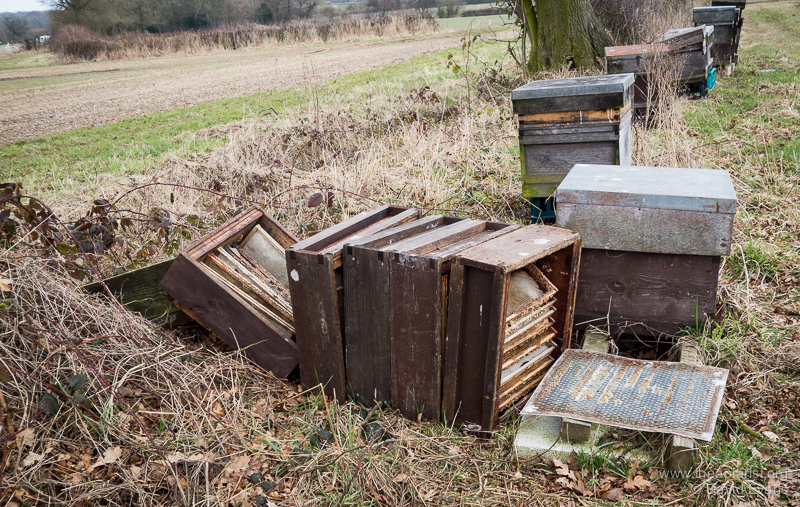 In a recent paper, Ratneiks and colleagues (University of Sussex) demonstrated that Apistan was significantly less effective at killing Varroa when used for a second treatment, four months after the first. In this study they showed only 33% of mites were killed at the second treatment, whereas 58% were killed in colonies treated for the ‘first time in five years’. This isn’t rocket science … if there are some resistant mites in a population then Apistan will preferentially allow these to survive. Consequently they will make up a greater proportion of the mite population when re-treated. Since we know the molecular basis of resistance to Apistan it would now be possible to determine – without doing the treatment and counting the corpses – what proportion of mites were resistant in a population before treatment. It would therefore be easy to determine whether treatment would be likely to work. Equally, it would be possible to determine whether the colonies ‘not treated with Apistan for five years’ still maintained significant levels of Apistan resistant mites. As will become clear, there are studies that contradict this, and the definitive test – the presence of absence of the mutation that confers resistance – was not done in the Sussex study. Beneficial – the presence of the mutation favours the organism (a fitness benefit), the mutation will be selected for and it’s presence in the population is likely to increase. Detrimental – the mutations causes a fitness cost and organisms that carry it are likely to reproduce less well, resulting in it being lost from the population. Neutral – the mutation is neither beneficial nor detrimental. In the presence of Apistan, the Leucine to Valine mutation at residue 925 (L925V) of the voltage gated sodium channel (VGSC; please see the previous article on the molecular basis of resistance), is a beneficial mutation. Any mites that carry it will not be killed and will be able to reproduce, so increasing it’s prevalence in the population. The same reasoning applies to other Apistan resistance mutations. The VGSC of Varroa evolved over eons in the absence of Apistan. The mutation is in a part of the protein critical for its function (that’s why Apistan binding blocks function). It’s therefore perhaps unsurprising that in the absence of Apistan selection there is evidence that the L925V mutation is detrimental. In simple terms the VGSC works less well with a Valine at position 925 than a Leucine unless Apistan is present. Where’s the data that supports this? The table above needs a little explanation. Colonies from Henlow and Shillington were treated with Apistan and tested one month later. Colonies from Harpenden, Bishop Stortford, St. Albans and Peterborough had no history of Apistan treatment in the recent past. Unfortunately, the paper does not make clear when the last treatment was, with the exception of a sample from Harpenden which had not been treated for at least 3 years. 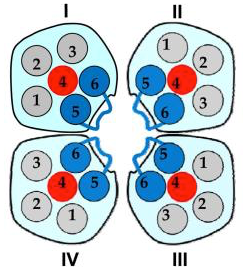 Varroa is diploid i.e. there are two copies of the gene for the VGSC. The S and R heading the columns SS, SR, RR, indicates whether the Apistan resistant mutation is absent (S = sensitive) or present (R=present). SR indicates that the mite was heterozygous, one resistant copy and one sensitive. Whether these mites have lower resistance than RR mites has not been determined – for the purpose of the remaining discussion I’m going to lump the SR mites with the RR mites and assume they are resistant§. 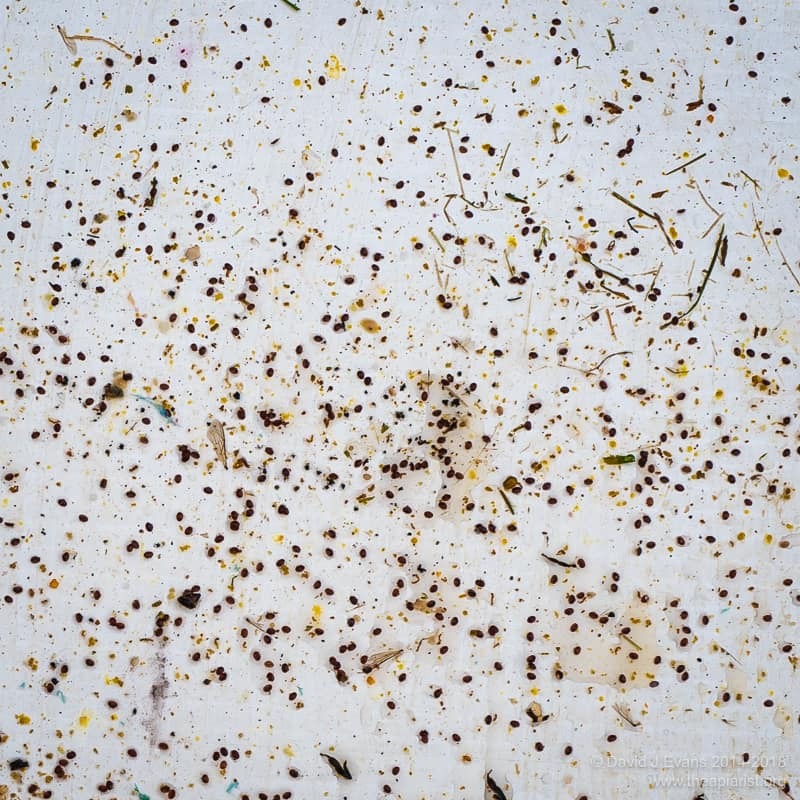 Of 279 mites tested, 40 were from Apistan-treated and 329 from -untreated colonies. Of the 40 mites from Apistan-treated colonies, all contained the mutation conferring resistance to the fluvalinate. Of the 239 mites from colonies not recently treated with Apistan, 215 were sensitive and only 25 were resistant. This suggests that in the absence of Apistan, Varroa sensitive to the fluvalinate replicate better. No. Partly for the reasons explained above … the Leucine at position 925 is likely to stop the VGSC working as well. More compellingly though is the wealth of data suggesting that insecticide resistance is associated with fitness costs in a range of other insects. 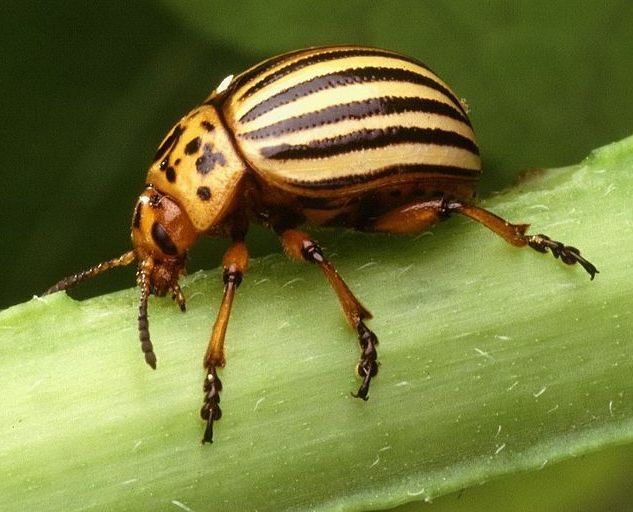 For example, pyrethroid resistant Myzus persicae (peach-potato aphid) exhibit fitness effects in overwintering survival, response to aphid alarm pheromone and vulnerability to parasitoids; pyrethroid-resistant Cydia pomonella (codling moth) have reduced fecundity, body mass of instars, adult male longevity and larval development; finally, pyrethroid-resitant mutants of the snappily-named Leptinotarsa decemlineata (which you of course know as the stripy-attired Colorado beetle) have reduced fertility and fecundity. Google will find relevant reference on all the above examples or you can refer to a concise mini-review by Kliot and Ghanim Fitness costs associated with insecticide resistance published in Pest Management Science (2012) 68:1431-37. Before discussing implications for practical beekeeping I should add that the rate at which the loss of the L925V mutation, and other mutations associated with Apistan resistance, needs to be accurately determined. If, as looks likely, a period of 3+ years results in selection for the sensitive variant of the VGSC, it might be possible to develop rational Varroa treatments that exploit this. Apistan is devastatingly effective on sensitive mite populations. Apistan is much less effective (or almost completely useless) on resistant mite populations. Resistance by Varroa is acquired rapidly and lost over the subsequent 2-3 years in the absence of selection. An effective and rational Varroa control strategy would only use Apistan once every 3-4 years, alternating it with other treatments. To mitigate the transfer of Apistan-resistant mites between colonies due to drifting and robbing, or due to the movement, sale and/or relocation of hives during the season, Apistan use would have to be coordinated. This coordination would have to be both geographical and temporal. There would be no point in the Fife beekeepers using it one year if the Angus beekeepers planned to use it the following year. Perhaps, but the benefits would be considerable. How could it be achieved? Perhaps by restricting the sale of Apistan to certain years, in a formulation or package that meant it had to be used quickly or became inactive. What about the residues in wax? I’m not sure whether the level Apistan accumulates to in wax is sufficient to be a selective pressure on the mite population. Apistan strips are 10% Apistan. Nothing like that much accumulates in wax. In a recent study fluvalinate levels ranged between 2 and 200,000 parts per billion in wax (mean ~7500 ppb). However, it is a valid concern and so would necessitate a relatively simple experiment to determine the rate at which Apistan resistant mutations are lost in the presence of absence of trace levels of Apistan in comb. There’s a debate in human healthcare about the necessity to vaccinate individuals in a well-vaccinated population. The chance of an infectious disease spreading to the unvaccinated individual in a protected population is very slight. So, why vaccinate? Well, what if increasing numbers decided not to vaccinate? Once protection in the population falls below a certain level there is a significant chance that an infectious disease will spread widely. We saw this in the UK after the MMR (measles, mumps and rubella) vaccine was falsely claimed to be associated with autism. Vaccination rates dropped from 90+ percent, to low 80’s and – in parts of the country – to only 60%. Unsurprisingly, measles cases increased and – tragically, for the first time in years – there were childhood deaths due to measles infection. This may seem a million miles away from looking after our bees, but there are parallels. As beekeepers we have responsibility for our own stock. 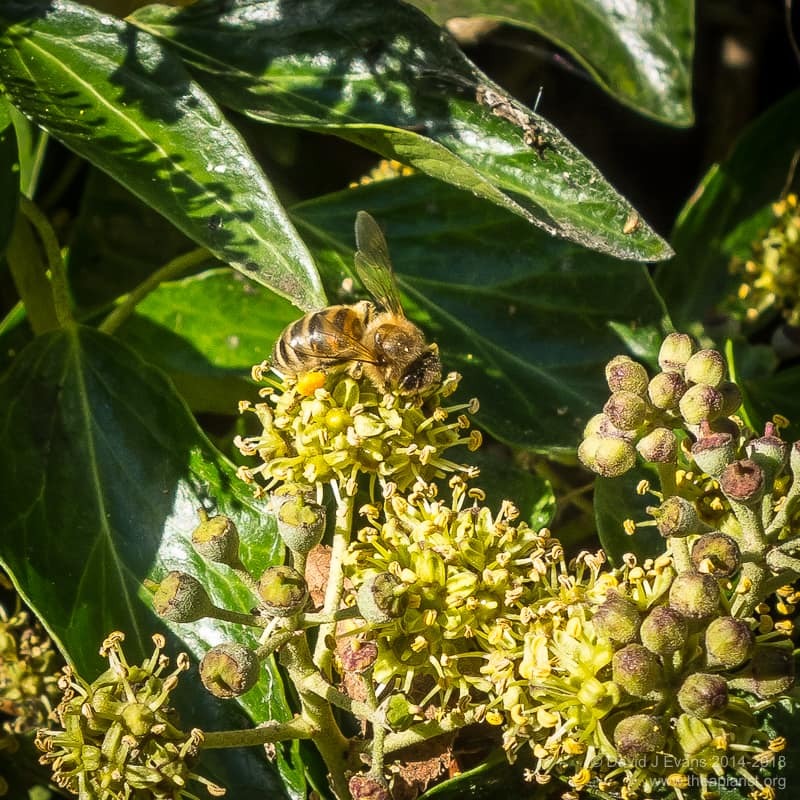 We also have responsibility to the wider community of beekeepers which – because of the way our bees forage and mingle – happily exchange pests and pathogens. 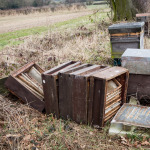 Beekeepers who do not control Varroa (and consequently virus) levels threaten the viability of their own colonies and those of other beekeepers in the area. The same applies to the foulbroods. This is why the bee inspectors try and check all colonies in the vicinity of an outbreak. This is why standstill orders are placed on apiaries where outbreaks occur. Perhaps this sort of communal responsibility also applies to Varroa treatment using Apistan? Beekeepers who treat without demonstrating very high levels of susceptibility first in their stocks are simply selecting for resistant mites, reducing the efficacy of treatment for themselves, and others, in the future. Indiscriminate or incorrect use of Apistan has resulted in widespread resistance, thereby compromising Varroa control for all beekeepers. The coordination and control, geographically and temporally, of Apistan usage would benefit beekeeping and beekeepers. And … it would also benefit those who chose never to treat with Apistan. Treated colonies in the one year in three∏ Apistan was used would have very low mite levels. Fewer mites would be transferred from these colonies by drifting or robbing … what’s not to like? † Redux, as in the literary term meaning brought back or restored, derived from the Latin reducere (to bring back). ∇ This is one compelling reason why Apistan strips should not be left in the colony longer than is recommended. It kills the susceptible mites within the first month or so. After that it effectively selects for resistant mites, allowing them to replicate. ‡ With apologies to any population biologists who were reading this and have now given up in horror. ∏ Or 4 or 5 – this would need to be determined empirically. 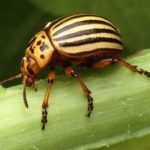 This entry was posted in Beekeeping, Responsibility, Varroa control and tagged Andrew Wakefield, Apistan, Colorado beetle, fitness costs, herd immunity, insecticide, measles, MMR, mutation, resistance, vaccination on March 31, 2017 by David. 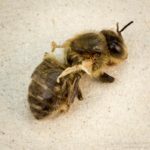 This is the first of two or three posts on Apistan, a widely used yet often ineffective miticide sold for Varroa control. I was originally going to title this post “Don’t do this at home” and restrict discussion to Apistan misuse and resistance in the UK. However, having drafted the article it was clear there was more than could be covered in a single post (or at least comfortably read). I’ve therefore split it up; the first focuses on what Apistan is, how it’s used and the consequences of use for the hive. 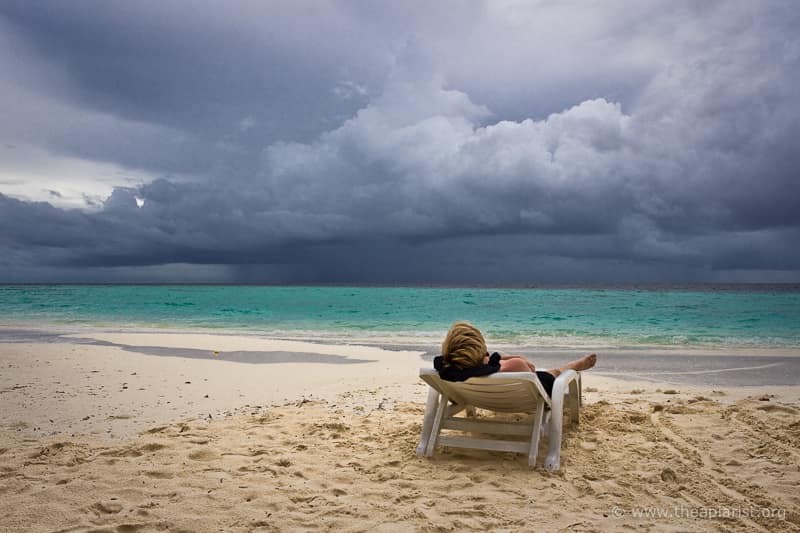 Next time – though possibly not next week – I’ll cover the molecular mechanism of activity and mite resistance. Apistan® is a miticide used to kill Varroa. It is a registered tradename used in the UK and other parts of the world. The active ingredient is a synthetic pyrethroid tau-fluvalinate (or sometimes τ-fluvalinate). Synthetic in this instance means it is not a natural compound, but is produced using a chemical process. Other miticides containing the same active ingredient include Klartan® and Minadox® – precise compositions may vary, but the important component is the tau-fluvalinate. 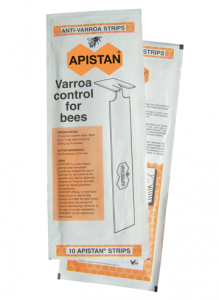 In the UK, Apistan is supplied by Vita (Europe) Ltd. and sold by all the leading beekeeping equipment suppliers. I’ll use the name fluvalinate and Apistan interchangeably in the remaining text. Apistan can be used at any time of year but its use is recommended in late summer after the honey harvest. The active ingredient, fluvalinate, is supplied as impregnated polymer strips, two of which are hung vertically in the brood box, between frames 3 & 4 and 7 & 8. 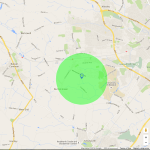 It is a contact miticide and needs to be located near the centre of the colony to get trampled through the broodnest. Nucs and weak colonies only should be treated with one strip. The treatment period is 6 to 8 weeks i.e. a minimum of two full brood cycles. The instructions specifically state that it should not be used for less than 6 weeks, or more than 8 weeks. This is to avoid the selection of a resistant mite population. Apistan should not be used when there is a nectar flow. On susceptible mite populations Apistan is fantastically effective. Cabras and colleagues in Italy reported greater than 99% efficacy in studies published in 1997. Importantly, because of its chemical formula, Apistan is fat soluble, meaning it is readily absorbed into or dissolves in fats … like beeswax. 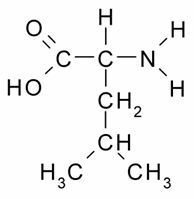 It is also a very stable compound. In a relatively recent study by Jeff Pettis and colleagues all 21 samples of commercial foundation tested were contaminated with fluvalinates. This was a US study and I’m not aware of an equivalent analysis of UK foundation suppliers. However, there is an international trade in beeswax and fluvalinates are used globally†. I’d be very surprised if any commercially-purchased foundation – perhaps other than the certified organic stuff – was not contaminated with fluvalinates. Are fluvalinates in wax foundation a problem? These studies are difficult to conduct using field-realistic levels of miticides. Nevertheless, despite the fact that the absolute toxicity of fluvalinates for honey bees is very low (i.e. 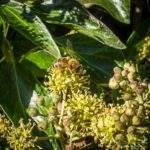 a lot is needed to kill the bees – the compound has a high LD50 0%) there is compelling evidence that sub-lethal levels are probably detrimental. Drones reared in fluvalinate-treated hives exhibit increased mortality, reduced bodyweight and decreased sperm production. Similarly, queens reared in treated colonies exhibited lower body weight. More recent studies by Keith Delaplane and colleagues tested emergence weight, memory, learning and longevity of workers exposed to fluvalinates and did not show any significant differences between treated and untreated colonies. In contrast, coumaphos – an organophosphate used for Varroa control – was clearly detrimental in these studies. Perhaps the most significant result in this study was that mite levels in treated and untreated colonies were unaffected … there was no evidence that the Apistan worked. I’ll discuss resistant in a future post. There are a variety of ways to avoid fluvalinates in comb. The first would be to use certified organic wax foundation. Thorne’s sell this for about twice the price of their standard worker brood foundation. This foundation is manufactured from beeswax sourced from New Zealand. Although certified organic, it’s not clear whether the wax has been tested for the presence of fluvalinates (an expensive process … so I’d be surprised if it had been). For reasons that will become clear shortly, just because the colonies used to source the wax had not been treated does not mean that there are no fluvalinates present in the comb from which the wax was rendered. Apistan was licensed for use in New Zealand seventeen years ago, shortly after Varroa was imported to the country. An obvious way to reduce fluvalinates in comb is to use foundationless frames. Even if commercial foundation contains traces of the chemicals, by using only thin starter strips you can significantly reduce contamination. Perhaps even better, by making your own starter strips from wax recovered from your own brace comb, cappings or foundationless frames, you can exclude the need for commercial foundation – and all the ‘extra goodies’ it contains – completely. I’m also investigating the use of unwaxed wooden starter strips this season, removing any chance of initial contaminants (note that this is not my primary reason for trying these). Unfortunately, avoiding commercial foundation of any sort and letting the bees draw comb directly from unwaxed starter strips still might not prevent the appearance and accumulation of fluvalinates in your hives. In the Delaplane study they used brand new hives and foundationless frames with plastic starter strips. After one year they compared treated and untreated colonies for the presence of fluvalinates in drawn comb. Unsurprisingly, treated colonies contained high levels of residual Apistan. However, untreated colonies also contained statistically significant levels of Apistan, four times higher than their detection limit. Coumaphos was also detectable at significant levels in untreated colonies. The authors suggest that the presence of both Apistan and Coumaphos was due to drifting of bees from treated colonies carrying the miticide into the untreated colonies. Therefore, even if you don’t use Apistan, if your neighbour does you are likely to get low levels of fluvalinates accumulating in comb – even when using foundationless frames. The Delaplane study appeared in 2013. An earlier article appeared in Bee Culture in 2009 which described the fluvalinate contamination of both commercial foundation and comb supplied by ‘chemical free’ beekeepers. It’s much easier reading than the data-rich Delaplane article. If used appropriately, at the right time of the season on a susceptible mite population, Apistan is very effective at killing Varroa. If used like this, Apistan levels will accumulate in the beeswax in the colony. This may be detrimental for drones or queens reared in the colony, but current studies indicate is probably has negligible effects on the worker bees. However, widespread use of Apistan has resulted in the rapid and widespread selection of resistance in the mite population … meaning that Apistan often has negligible effects on Varroa. I’ll discuss this in more detail in another post. † What do you think happens to all the reclaimed beeswax traded with Thorne’s and other companies? It’s recycled into new sheets of foundation. You might not use fluvalinates, but many beekeepers do and this will be generously divided up across all the new sheets of pressed foundation. This entry was posted in Beekeeping, Varroa control and tagged Apistan, Bayvarol, Coumaphos, drifting, fluvalinate, mite, organic foundation, resistance, Varroa on February 24, 2017 by David.